Pointe Royale Golf Club is in the January issue of Golf Digest in the article “New Courses, Good Deals.” Pointe Royale is among courses with rates under $65. Pointe Royale Golf Village completed a $1.5 million redo in April after a $3 million remodeling of the clubhouse. Ring in the New Year at Kirby VanBurch’s New Year’s Eve Extravaganza! GREAT FOOD……. SPARKLING NON-ALCOHOLIC WINE…….. PARTY FAVORS!!! Join Kirby with his amazing cast and exotic cats for a MAGICAL NEW YEAR’S EVE! Show starts at 9:00 PM with a spectacular balloon drop at Midnight! BRANSON, Mo. – Suddenlink announced today that a new nationwide investment program is bringing more high-definition (HD) TV channels, faster Internet service and Video on Demand (VOD) to Branson, Nixa and Ozark. The company has embarked on a three-year, companywide program calling for $350 million of capital investments above and beyond the company’s traditional capital spending levels. As a result, Suddenlink plans to add more HD channels to its local lineup within the month. The new HD channels are expected to include: AMC HD, Fox News HD, Starz HD, Lifetime HD, Cinemax HD, Outdoor HD, MTV HD, VH-1 HD and many more. HDTV offers a widescreen format, similar to a movie theater, with distinctly sharper images than standard TV. It also provides better sound quality. Suddenlink recently introduced its new High Speed Internet MAX 20.0 service in Nixa and Ozark and plans to launch MAX 20.0 in Branson in January. That service offers a download speed of up to 20 Megabits per second (Mbps). This service is among the fastest in the area. Early next year, Suddenlink plans to increase the speeds of its other Internet services, with no change in price. Current services – with download speeds up to 1, 8 and 10 Mbps – will be boosted up to 1.5, 10 and 15 Mbps, respectively, and be renamed accordingly: Suddenlink High Speed Internet 1.5, 10.0 and 15.0. Also early next year, Suddenlink plans to introduce its Video on Demand service, offering thousands of hours of viewing, with many programs in HD format, including movies, sports, news, music and popular cable-network shows. More than a third of the Suddenlink VOD library will be free. The rest will be available for either a per-view charge or monthly subscription. VOD allows viewers to order titles of their choice via remote-control, at any time, and have access to those titles for an extended period; typically, 24 hours. More information about local Suddenlink services is available by visiting the company’s Web site (www.suddenlink.com) and entering a zip code, or by visiting Suddenlink’s local customer care office. Suddenlink Communications (www.suddenlink.com) is among the 10 largest cable broadband companies in the United States, supporting the information, communication and entertainment demands of approximately 1.3 million residential customers and thousands of commercial customers in Arkansas, California, Louisiana, Missouri, North Carolina, Oklahoma, Texas, West Virginia, and elsewhere. Suddenlink simplifies its customers’ lives through one call for support, one connection, and one bill for TV, Internet, phone, and other services. EVERYONE! Make plans now to attend this informative session to be held at 10 a.m. on Tuesday, January 12th at the College of the Ozarks’ Keeter Center. Gene Williams opens the New Year with two special guests on the Jan. 2 and 3 broadcasts of the “Gene Williams Country Music Television Show” with guests Brandi Ely and James Marvell. The “Gene Williams Country TV Show” features the shows and stars from Branson and country music and is taped live in the NBC affiliate KY3 Studios in Springfield, Mo. Guest audience members are welcome and should arrive at the studio at 1 p.m. The next taping is Jan. 13. Grammy Award nominees, the Rhodes Sisters bring Gene Williams a page from his past as they guest star on to the “Gene Williams Country Music Television Show” to be telecast Dec. 26-27. Click here for more information. The Branson board of education is seeking applicants to fill a vacancy among its seven-member organization. Mike Booth, who was just four months short of completing his 12th year of service to the district, resigned his seat at the board’s December 10 meeting. He resigned after accepting an appointment to the Branson City Council. Applicants are being solicited from those who would like to fulfill the requirements of Booth’s unexpired term which ends April 2010. As per policy, applicants who wish to fill the remainder of Booth’s term must submit a letter of application and resume’ to the district office. All applications must be postmarked by December 26. Applications may be mailed to: Branson Board of Education; 400 Cedar Ridge Drive; Branson, MO 65616. The board will meet later in December to review the applications. A selection of applicants will be scheduled for interviews with the board prior to its January meeting. 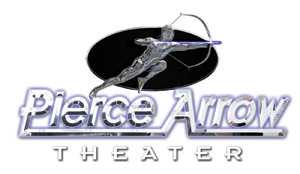 Pierce Arrow Theater will have area appreciation shows for NW Arkansas and SW Missouri December 14th – December 19th at 7:30 pm. Bring your photo id, and a non-perishable food item to be donated to the CAM Food Pantry and your ticket price will only be $8.65.